My son is a very reluctant reader. He just has not had much interest in learning to read. He does his language arts curriculum and seems to understand it. But when you ask him to read out loud he refuses. “I can’t read” is his standard reply. Recently we have been working on larger words. Compound words are two words that have been put together to form another word. Often the word that is formed has nothing to do with the original two words. Butterfly has nothing to do with either butter or a fly. 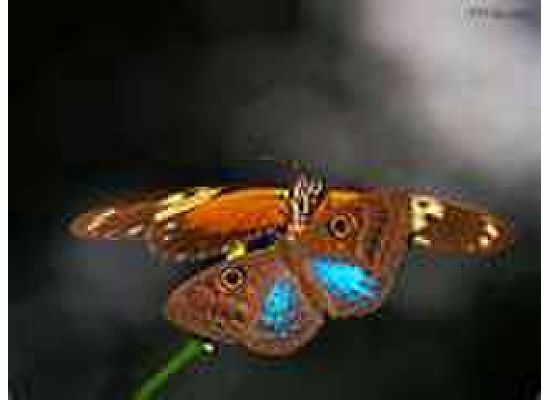 But we all like to watch the butterfly as it flits from flower to flower drinking the nectar from each plant. My son would look at the word butterfly and tell me that it is too hard to read. One day I figured out that if I cover half the word, he can read the other half. I covered the second half of the word and he read butter. Then I covered the first half and he read fly. I then showed him the whole word. He read butterfly. He could see and read the whole word. By breaking it down into smaller parts he could read it. Sometimes we play compound word games to help him understand how to break the words apart. I doesn’t have to be a compound word to read this way. Any large word can be broken in to parts to make it easier to read. Try this and see if it helps your reluctant reader.